In 1860, when the first rumblings of secession began to be heard across the South, the McGavock and Mt. Vernon Horse Railroad Company and the South Nashville Street Railroad Company were chartered. 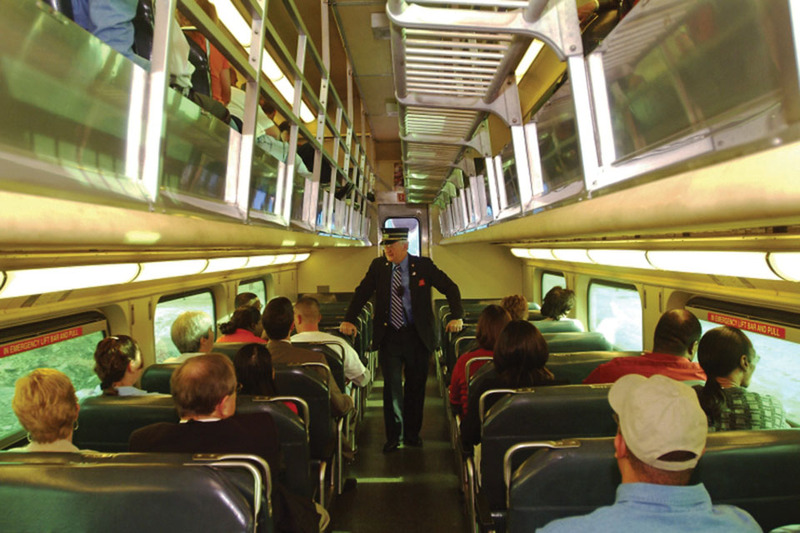 They used steam and mules to power rail cars giving Nashville its first taste of public transportation. Antebellum Nashville was already known as a very prosperous city due to its strategic location on the Cumberland River and its status as a major railroad center. Within a few years after the guns of the Civil War fell silent in 1865, Nashville became one of the first cities in the nation to boast “modern” transportation. On April 30, 1889, the McGavock and Mt. Vernon Horse Railroad Company introduced the first electric streetcar in Nashville. Over the next half-century, numerous companies formed, consolidated, and disbanded as competition for passengers created a variety of financial and legal hardships for the struggling companies. Motor buses were introduced in 1926 to supplement the existing street railway service, which was phased out in the early 1940s. The unprecedented growth and prosperity of Nashville over the next three decades resulted in a dramatic increase in the use of private automobiles, and the health of the transit system deteriorated as fewer people were riding the buses. Realizing the importance of a solid public transit system, the Metropolitan Government of Nashville and Davidson County applied for a federal grant for the purchase of the Nashville Transit Company. They realized that a viable public transportation system contributes to a healthy economy by aiding in employment and reducing traffic congestion and air pollution. The transfer from private to public ownership was completed in 1973 and the Metropolitan Transit Authority (Nashville MTA) was officially chartered. Formed in 1973 for the purpose of stabilizing existing public transportation services and meeting the overall transportation needs of citizens and visitors in Davidson County, the Nashville MTA has a distinguished reputation as a provider of public transportation services. The agency is led by a five-member Board of Directors confirmed by the Mayor of Nashville and confirmed by the Metro Council. The Board sets policy regarding the operation of the Nashville MTA and a team of transit professionals manage the day-to-day activities to ensure services are provided to those who rely on the transit system to get to jobs, medical appointments, places of worship, and entertainment venues. The Regional Transportation Authority (RTA) of Middle Tennessee is an independent Authority created under state legislation. Nashville MTA is contracted to manage RTA services under a fee for service agreement. Funding comes from membership dues, federal and state funding, and local contributions based on services provided. 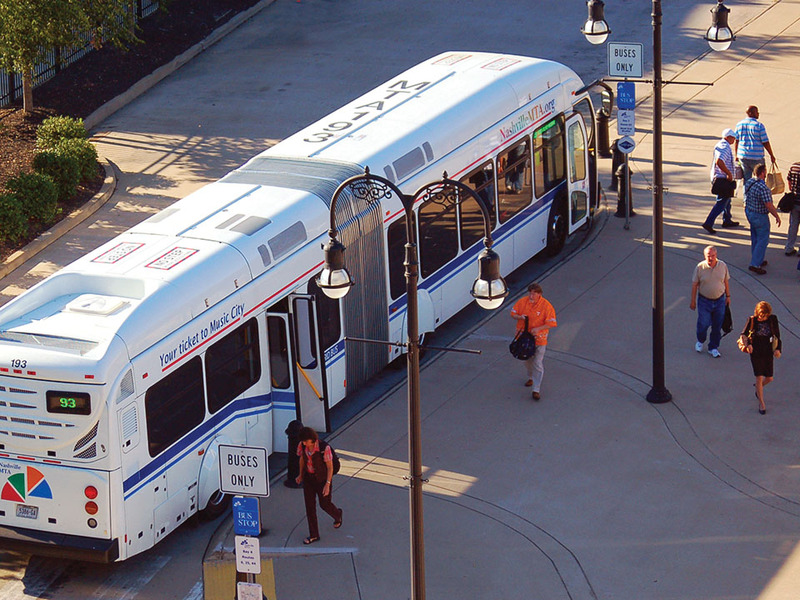 Statistics show that nearly 35,000 passengers take public transit each weekday within the Middle Tennessee area. Some 68 percent of the Nashville MTA’s passengers rely on mass transit while the remaining 32 percent ride public transit vehicles as a personal preference. 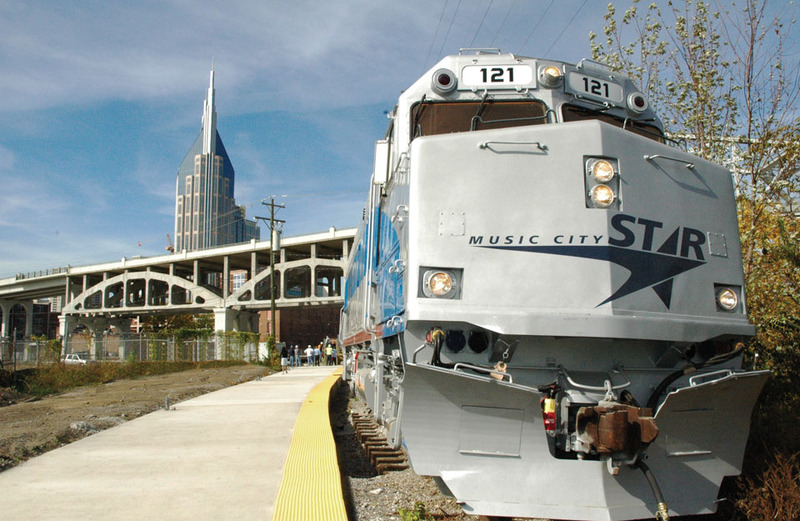 Signature projects include the RTA’s Music City Star, which is Middle Tennessee’s only modern-day commuter train and spans Nashville to Lebanon. Another unique service of the Nashville MTA is its free Music City Circuit, running through the heart of downtown Nashville using all-electric buses. The buses run virtually silent and emit zero carbon emissions. The Music City Circuit buses have stops near the Nashville Farmer’s Market and First Tennessee Park, through the busy business, tourism, and arts districts of Downtown, and into the Gulch area. 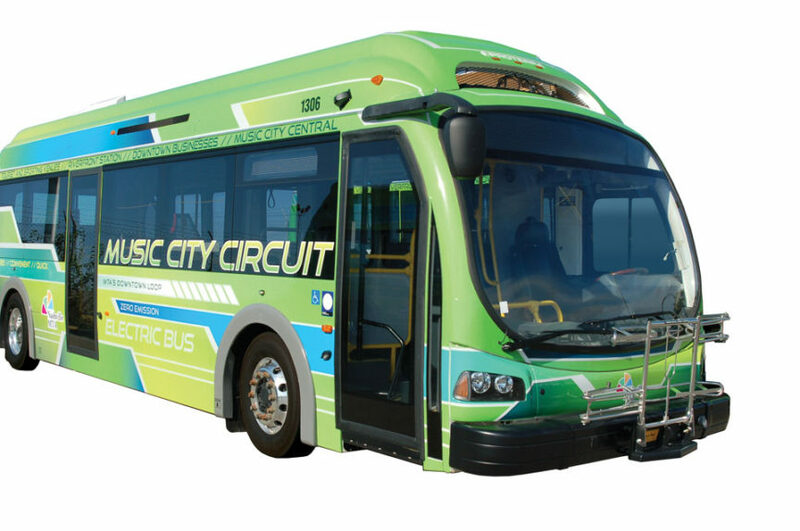 In 2015, the Music City Circuit’s electric buses provided more than 300,000 rides for residents and visitors. Another signature project is Music City Central (MCC), Nashville MTA’s downtown transit station that opened in the fall of 2008. It provides a warm and inviting environment for commuters and brings the city in line with other markets of the same size. The station incorporates Music City’s historic musical foundation throughout its indoor and outdoor spaces, creating a strong sense of place for riders, visitors and employees. Nashville’s Lipscomb University selected Nashville MTA as the winner of “Green Service of the Year” in 2010, the inaugural of the Green Business Leadership Awards. “The committee felt the agency just keeps optimizing transportation sustainability in Nashville with its new routes, the new Music City Connector, new hybrid buses, and the ability to travel with MTA using Google Pedestrian,” said Alan Sparkman, a member of the awards committee. Nashville MTA’s Music City Circuit also won the Tennessee Department of Environment and Conservation’s Sustainable Energy in Transportation Award in 2016. Today, the Nashville MTA and RTA of Middle Tennessee offer more than 50 bus routes within Metro Nashville and surrounding counties. More than 11 million passenger trips were taken in fiscal year 2016 on public transit buses, vans, and the train. 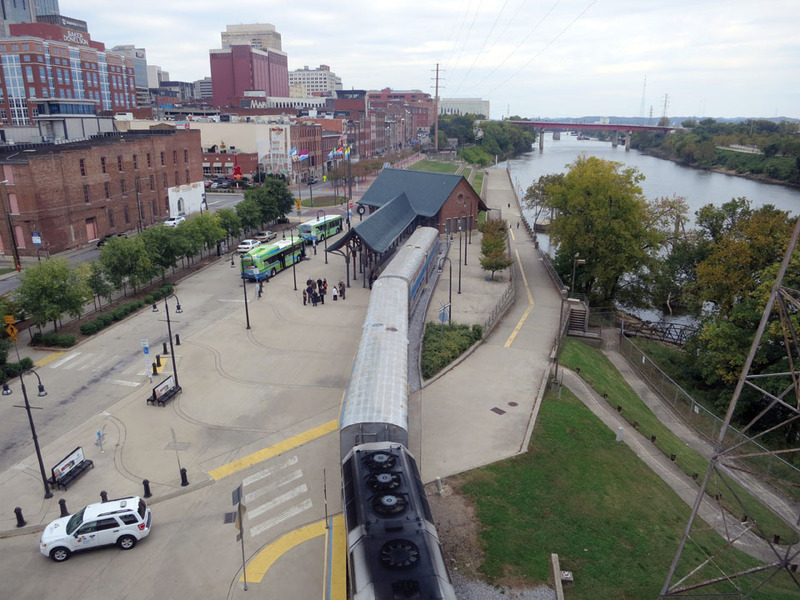 With a continued focus on improving its service, the MTA and RTA systems are becoming more passenger-focused, easier to use, environmentally-friendly, and a viable option for getting around Nashville and the surrounding counties.